The Windy 37 Grand Mistral HT is a truly versatile luxury sports cruiser with a social cockpit area and this is the model with the versatile hard top. Windy boats are a product of traditional Norwegian craftsmanship, enhanced with the aid of modern technology. 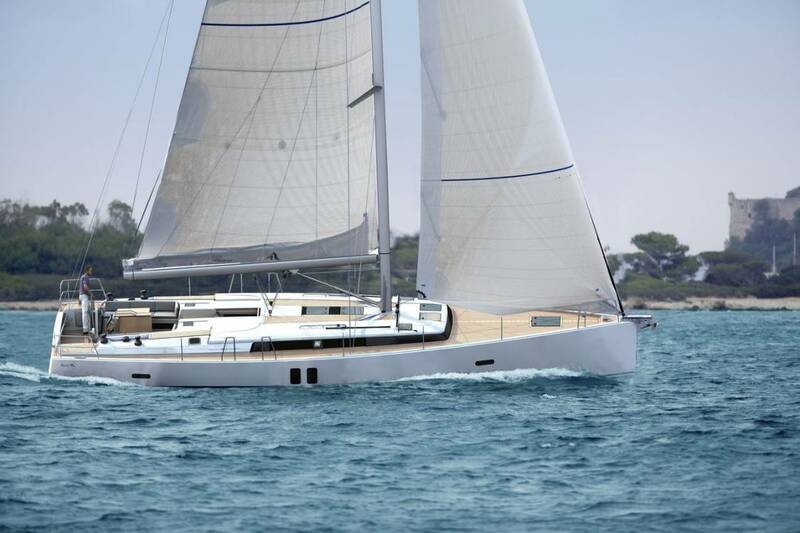 Their sea-keeping ability is legendary thanks to an aggressive deep-v planing hull designed by Hans J Johnsen is forgiving in a seaway, yet precise easily driven and strong . It offers improved performance, greater strength and reduced noise throughout the vessel. The Windy 37 Grand Mistral HT sleeps 4-6 people in a separate master double cabin forward and a guest aft cabin that can be made up as two twins or one huge double berth, it is also possible to convert the cockpit seating. 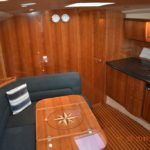 The owners cabin is foreward with a large central island berth, high gloss wood finish, wardrobe , lockers, drawers, reading lights and opening port lights. The guest cabin is amidships and has a large double berth with a sprung mattress, wardrobe, cherry floor with light wood inlay, opening port light and adjustable reading lights. The cockpit offers a good helm position and a large U shaped sociable seating area which can be converted to a sunbathing platform or utilised as additional sleeping berths. There is a electro/ hydraulic opening engine hatch giving full access to the engines. The hardtop roof has integral down lighters and the retractable hard top is operated electronically. The cockpit area also has a refrigerator, sink with mixer taps and adjustable pilot and co-pilot seats. The bathing platform, accessed via a gate in the transom as an integral bathing ladder, a shower and snap davits for the attachment of a tender. This Windy 37 Grand Mistral is powered by the larger engine option of twin Volvo Penta KAD 300 EDC 285hp engines which have been serviced regularly and have completed about 650 Hours.